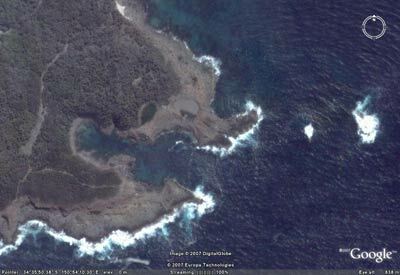 To the immediate east of the Bass Point Reserve there is a small rocky islet called Bass Point Island. There are a number of different dives you can do around this island. All are called Lous Reef. It is 4 kilometres from the boat ramp at Shellharbour Harbour to the site. On the southern side at 34° 35' 57.3"S 150° 54' 19.7"E (using AUS66 as datum - see my GPS page for details or you may not find) there is a mooring (at February 2007). This is in about 20 metres. The bottom here is 28 metres and it drops out further to over 32 metres. The mooring is just a few metres off the edge of the reef. 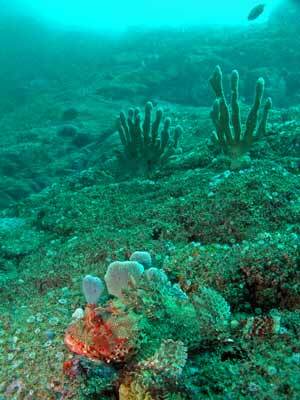 The reef near the bottom is a steeply sloping series of rocks, with excellent sponge and gorgonia life. Closer to the island there are some vertical walls. There are also some large boulders on the slope. 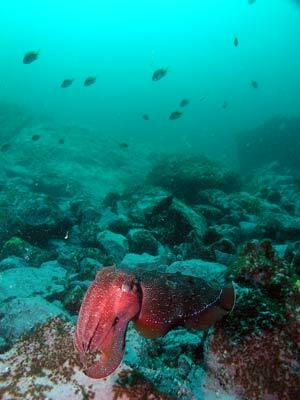 A recommended dive is to head to the east from the mooring along the reef edge and return shallower up the slope a little. 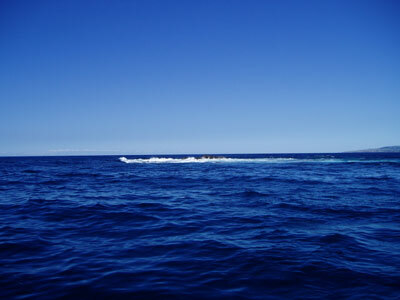 Go past the mooring and the reef runs for another 20 to 30 metres before turning south or south-west. The reef becomes steeper and a bit further along it is a very large vertical wall. The bottom here is only 24 metres and it comes up a bit as it goes on further. Come back to the mooring and go north into the shallower water (15 to 20 metres). It is a bit flatter here. Further north it gets shallower but you will need millpoind seas to get too far up there. 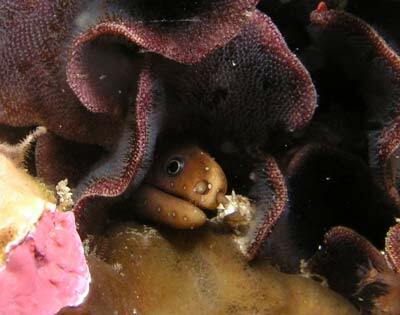 You will find a lot of sweep and one-spot pullers all over this reef. You may also see huge schools of yellowtail, ladder-finned pomfret and silver drummer in the shallower areas.